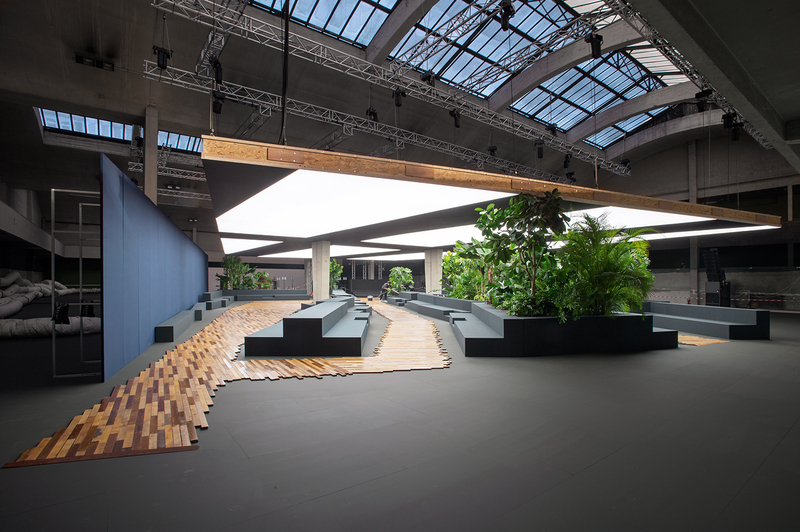 In just three seasons, the London-and Berlin-based architecture firm Casper Mueller Kneer has revolutionized the design of fashion shows. 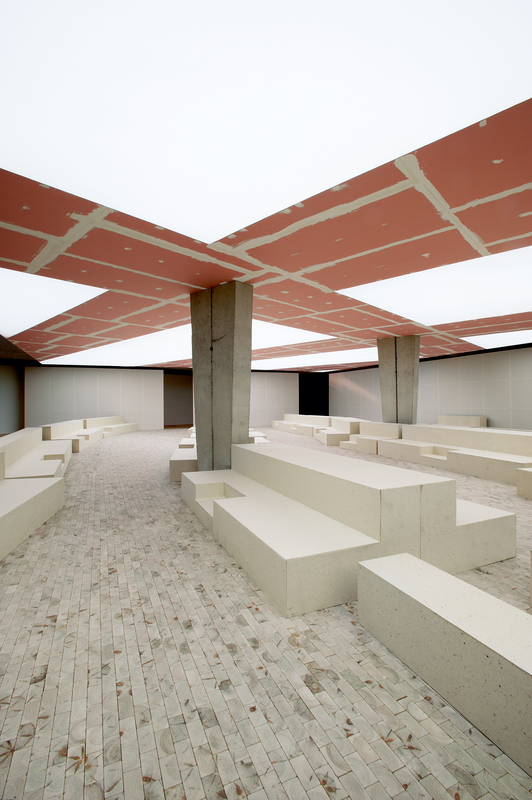 For Phoebe Philo, they created three distinct structures, open pavilions that connect every element — the floor and ceiling, the light and space, the plants and raw materials — which together create a conceptual architecture for the Céline shows. This brilliant trio combines a true sense of aesthetics with a rigorous design philosophy. CHARLES-EDMOND HENRY — How did you start working together? MARIANNE MUELLER — Casper Mueller Kneer is a relatively new office that combines two offices that have been established for quite a long time. On the one hand, there is Mueller Kneer Associates — Olaf and myself. We have been in London for 17 years now and have completed a whole series of projects together. On the other hand, there’s Jens Casper, who’s operating in Berlin. I had a guest professorship in Berlin, and that’s where we met. And very quickly — that was 2004 — we started a very supportive work relationship and felt that it would be really nice to do projects together. The opportunity arose in 2010 with the commission of the White Cube in Bermondsey, which was a really fruitful collaboration. We founded Casper Mueller Kneer as an umbrella organization for the two offices. One thing that’s really important about our approach is the combina- tion of theory and practice. So there was always teaching, and there were always academic engagements and research projects. That’s what brought us together, actually, because we taught together, and then we started to work together. There’s a sort of slippage between practice and theory. CHARLES-EDMOND HENRY — Are theory and architectural practice always combined in your work? OLAF KNEER — The combination is always carried through. Recently, we’ve taken a little break from full-time teaching because it was consuming too much of our time. And it was very exciting, but with White Cube especially, we found ourselves unable to teach. We now think that maybe it’s a great time again to have a bit more engagement. It’s also a great process in terms of the renewal of ideas. We really enjoy the direct engagement with students. CHARLES-EDMOND HENRY — Recently, you’ve been collaborating with Phoebe Philo and the Céline team on several projects. You designed runway shows and a flagship store here in London. How did that come about? OLAF KNEER — I don’t know exactly. One day they just showed up. They called and then visited us, and then they called again and visited again, and then they dropped a big bag of Céline material on this table and said to have a look at this, this is what we do, and we’d like to work with you on a show. It was a kind of tentative start. It was an experiment. It was like, why don’t you have a look? If we think we can work together, then let’s develop this together. And I think it worked really well. There was an idea of exploration and material research on the one hand — working with real materials. I think that’s a great interest that Céline has, obviously, and that we have as well. And there was also a desire to explore, to try something out, which might not be completely polished and final. So this idea of a spatial sketch. I think that’s something that we share, this interest in exploration. CHARLES-EDMOND HENRY — Your architecture is also very geometrical and sophisticated. You mix simplicity and complexity in a very natural way. 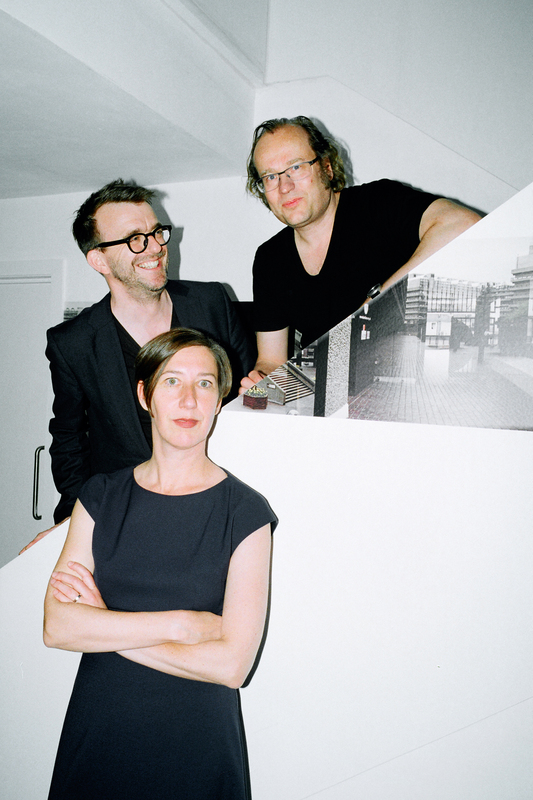 OLAF KNEER — We are architects, and we think very spatially. And we feel that Phoebe also has a strong spatial awareness. MARIANNE MUELLER — We hadn’t done a fashion show before, so we looked at a lot of shows. They tend to be very hierarchical spaces. There are the models, and they are usually elevated, and then there’s the audience, which is usually in the dark. The relationship between the two is extremely distant. One of the things that we talked about in the beginning was how to break down these hierarchies, how to create a common field between the models and audience, so that the viewer and the displayed would somehow be at the same level and share the same space and enter an intimate relationship. That was one thing that Phoebe Philo was extremely interested in. How to create the sort of intimacy and prox- imity where you felt like you could almost touch the dresses and feel the fabrics; how to create an informality within the show. As an audience, you have a sense of belonging, because you feel like this is your space; this has been designed for you. And for the models as they’re meander- ing through the shows, it means they’re engaged in a real situation; they’re not as distant because they somehow have to navigate people, seats, and other things that are in the way. That was a lot of fun. It was nice to see that it worked. OLAF KNEER — Everybody shared the same surface. MARIANNE MUELLER — Which also meant that you suddenly created real spatial situations. There were people who had this type of seat and that type of seat. There was a hierarchy in terms of quality. I think that is very interesting, in the sense of creating a kind of qualitative, differenti- ated view. OLAF KNEER — We thought that every seat was pretty good. Not in the sense that that one’s better and this one’s worse, but they all offer some- thing slightly different. It was all very exciting. CHARLES-EDMOND HENRY — How many people attended the shows? OLAF KNEER — 550 seated. CHARLES-EDMOND HENRY — That’s a lot. OLAF KNEER — It’s actually quite a lot. MARIANNE MUELLER — Plus standing. OLAF KNEER — You had a lot of people in the room, and it felt very dense, very compact. The Spring/Summer 2014 show was slightly bigger because there was a slightly different geometry. MARIANNE MUELLER — It’s interesting to see that this show was taking these ideas even further and creating this really convoluted path that the models had to navigate. 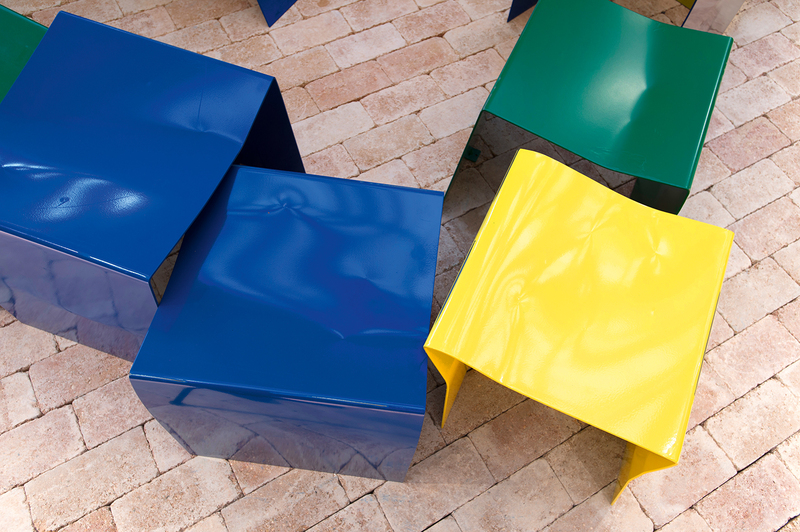 CHARLES-EDMOND HENRY — One interesting thing is also that there’s no defined limit for your spaces. It’s always very open, and you can see it from the inside as well as the outside. When you enter the room, you see an object, and then you can use that object. OLAF KNEER — This show was almost like a pavilion. We thought of this as a sketch for a pavilion structure, which could be freestanding some- where in the countryside or in an urban situation. So we quite enjoyed that in terms of the construction and material. MARIANNE MUELLER — We didn’t want any theatricality. A fashion show is normally very theatrical: it looks like gold but is really just painted. The idea was always to use real materials, and partly to use materials that are industrial. They’re actually quite cheap, but we used them in unexpected ways and in a different context, specifically high- end luxury. There were a lot of people that would have never encoun- tered them, and certainly not in this particular way. CHARLES-EDMOND HENRY — It made me think about the fantastic work of architectural rebranding that Phoebe Philo did for Céline in the past few years. She has been introducing new materials in a traditional luxury context, such as plaster, wood, and unfinished materials. She mixed them with marble and very precious stones, for example. I think your work is a perfect continuation of this idea. MARIANNE MUELLER — There’ve been great discussions about how to use these materials. A lot of love and labor then goes into considering how to use them in unexpected ways, to put a lot of craft into putting them together. OLAF KNEER — It’s also the fact that they bring with them really strong material qualities. So you have the thing itself and, when you start looking closely, there are different kinds of felt, concrete with exposed aggregates; there’s brick with timber; there’s fabric. This is really simple, some of the most basic fabric for tailoring. It’s kind of cool. MARIANNE MUELLER — But then there is always the consideration: how best to use the material? For example, to have the unfinished plaster- board but then decide the seams should be skimmed but the rest should not be. When we used brick, we used it as a floor in the Spring/Summer 2014 show. There were a lot of explorations of how to lay them, in which bond they should be laid. In the end we decided on an Arabic bond in order to make it look more textural. It moves toward the idea of fabric, and somehow seems less structural. So there was always a lot of discus- sion about how the materials should actually be applied in the space. CHARLES-EDMOND HENRY — Are the catwalk designs directly inspired by the fashion collections? Do you see the collection before starting your design? OLAF KNEER — No. It’s an interesting process because, as architects, we have very different timescales. We need to order materials way before the collection is actually finished. There are clearly ideas that Phoebe and the team are exploring, and there are certainly ideas they start off with, which is about three months before the show. And this is usually communicated in the form of a visual brief. They set out a framework of interests, let’s say; interests that could be as simple as an exploration of darkness — what’s the idea of darkness — or plainness. But it’s quite a process. It’s a long path and really, I mean, it’s parallel in many ways, but there’s contact. You know there’s contact and exchange along the path. MARIANNE MUELLER — It gets really exciting when that exchange happens. Elements from the collection start to appear in the space, and ele- ments of the space start to appear in the collection. When you really feel that something has been created, that becomes a unity. And the space is the right set for this type of collection. 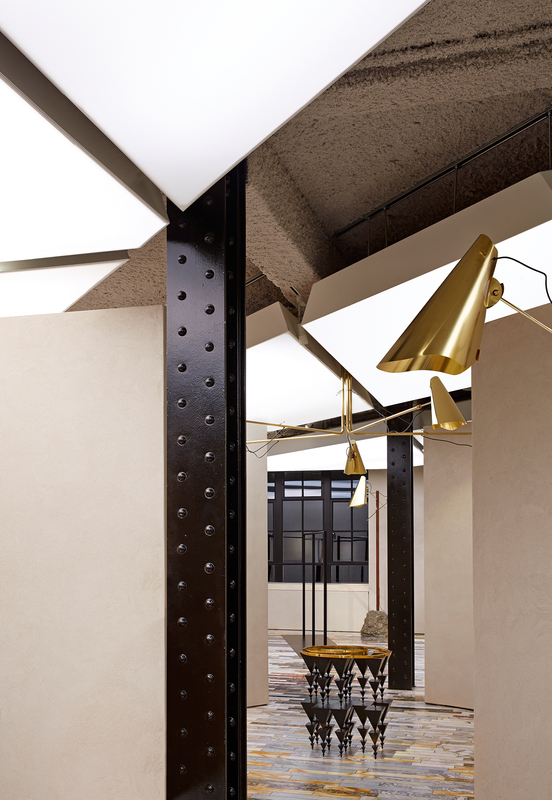 CHARLES-EDMOND HENRY — You have also been commissioned to design the Céline flagship store on Mount Street, here in London. Are there a lot of common points between your catwalks and the store? OLAF KNEER — It’s interesting. I think the flagship store allowed us to explore these material systems even more, the clashes and over- lays, and what you touched upon earlier — that there are some very precious materials. In fact, none of the shows employ really precious materials: some of them are kind of expensive, some are less expensive, but mostly they’re quite raw. The shops have a dif- ferent ambition: they have a timescale, they have a lifespan, but they also have the context of the brand, let’s say. The idea that you recog- nize a brand internationally. I mean, Céline has, I don’t know, more than 100 stores worldwide, including all kinds of shop-in-shops. So part of the brief is clearly: you should see this and recognize what it’s somehow related to. Well, ideally, you recognize it immedi- ately as Céline. MARIANNE MUELLER — What’s also interesting about Mount Street is it’s a stand-alone store. So again, this idea of site-specificity could actually be applied. There were some interesting restrictions, I would say. An existing column grid you had to work with, which was very present, and also a dual-face for the garden and the street. And then again, this idea of what would happen if one would overlay a number of different geometries that would work against each other: a curvaceous one, a diagonal one. It was interesting to see how that would create a space with very unexpected qualities and also distinctly different qualities in different places. It’s actually quite an intimate store, but it feels as if there are many different places within that one space. And then materially, obviously the ceiling and the floor are very special. The floor is a real piece of work. 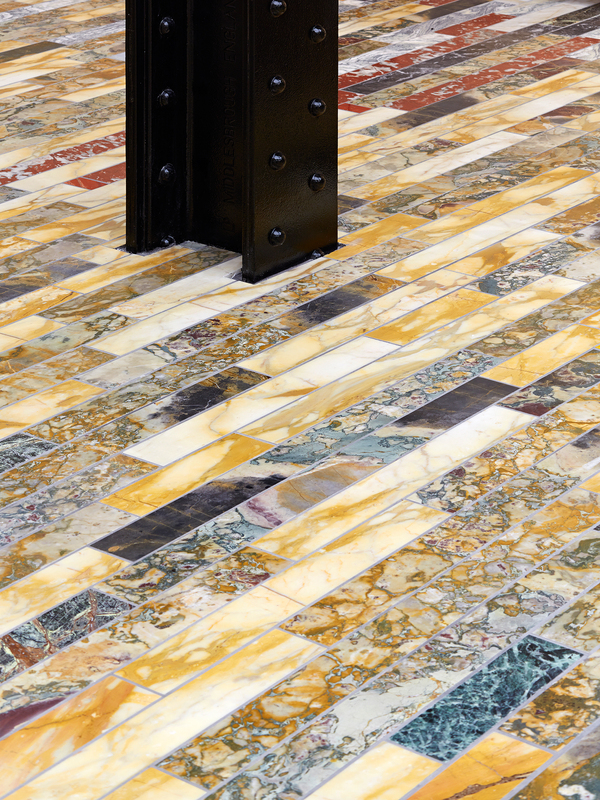 The idea was how could one create a contemporary marble floor that didn’t look like your grandmother’s floor and that didn’t look like fancy marble, but would really be different. 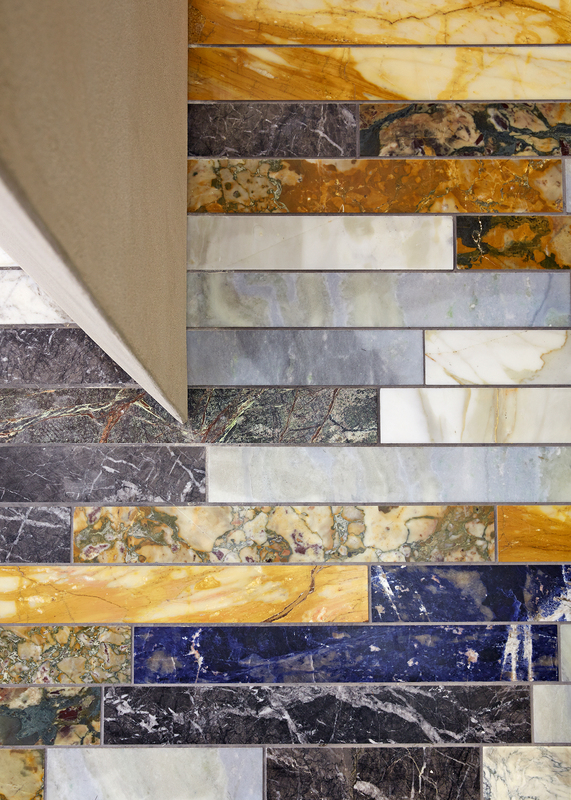 And so we worked with the idea of using these really precious, beautiful marble slabs, but cutting them to a very small format, which is brutal, and working with transitions. CHARLES-EDMOND HENRY — Do you think working on this project has allowed you to push your designs to new limits? MARIANNE MUELLER — What is interesting in developing designs for Céline is the idea of working through prototypes, which is really quite inter- esting, and you don’t often get that advantage when you work on other projects. I think this really relates to the idea of fashion. You can make changes to a dress quite easily: “I want it to be shorter. I want it to be wider. Can we make it like this?” So in a sense, the fashion world approaches architecture like this. But of course architecture doesn’t quite work this way. You need to simulate a design through drawings and images, but then what is interesting here is to actually mock up spaces and then make decisions based on them, which I think is an incredibly productive way of working. Somehow, no sketch, no plan, no rendering ever really communicates what something feels like in space — it’s materiality and presence. 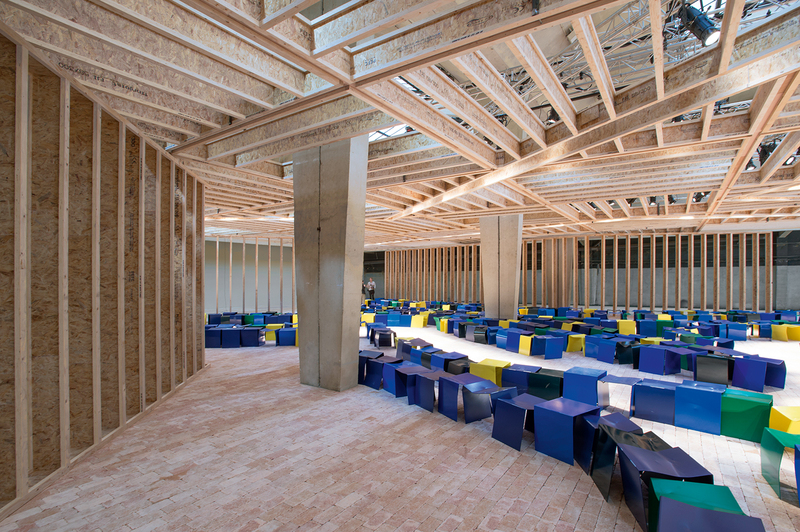 For Mount Street, many things were mocked up in one-to-one using the actual materials. We could see if we were right or not about our assump- tions. I think you can feel that testing in the spaces. Not a lot of architecture projects allow you to do that.